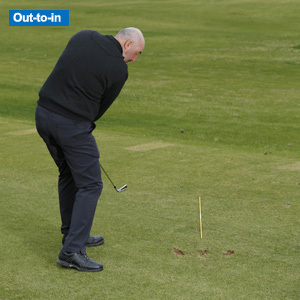 With any shot you hit - and we're not just talking about your short game here - there are always invaluable clues to look out for that will tell you a lot about your swing. One important piece of evidence that should never be over-looked is your divot pattern. If you are trying to hit a straight shot (as opposed to a fade or a draw) your divot should really point directly at where you were aiming. How often do yours point left or right? If your divots consistently point to the left of your target, this is evidence of an out-to-in swing path. 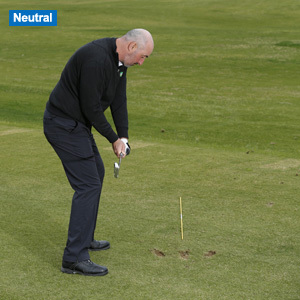 In this case your common shot shapes will either be pulls, fades or slices. 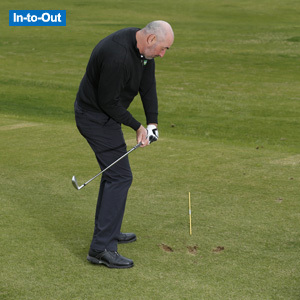 Alternatively, if your divots are aiming well right of the target the club will be moving from too far inside to outside the ball-to-target line. 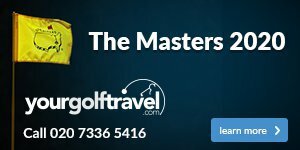 In this instance, the family of shots that you are likely to hit will be pushes, draws and hooks (depending on the clubface angle at impact). 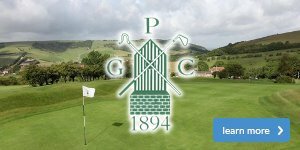 The photographs here illustrate how the club is likely to be travelling for out-to-in, neutral and in-to-out swing paths. 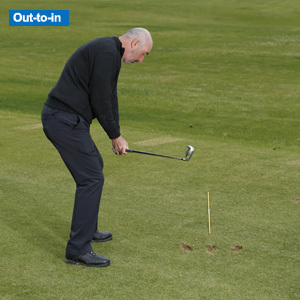 If your divots are pointing right or left of the target and your shots are finishing off-line you should now be able to diagnose the fault. 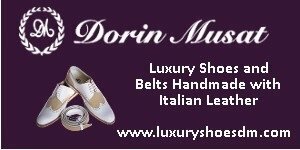 However, for advice on how to groove a better, more consistent movement, please come into the pro shop and book a lesson.